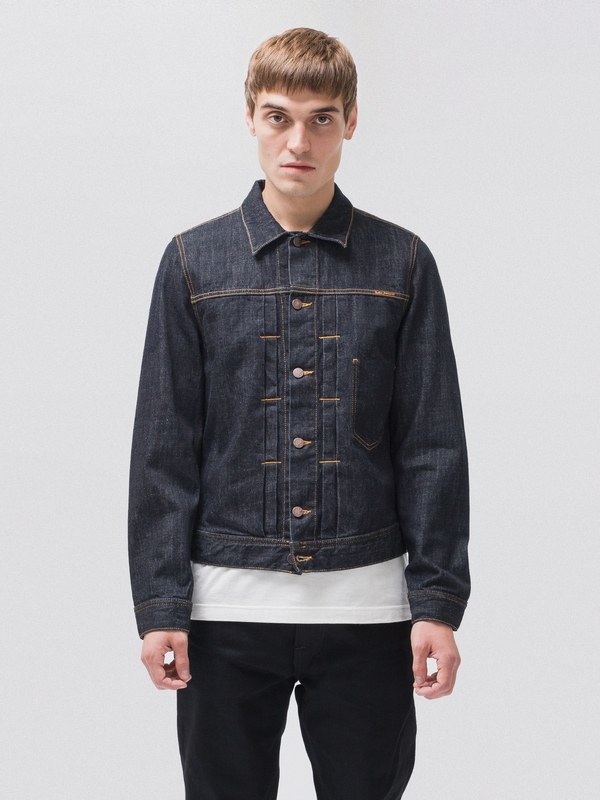 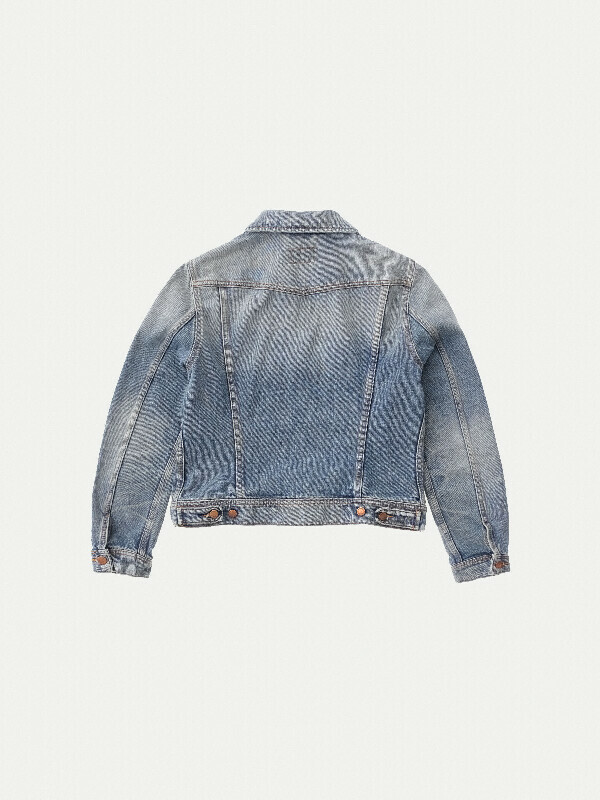 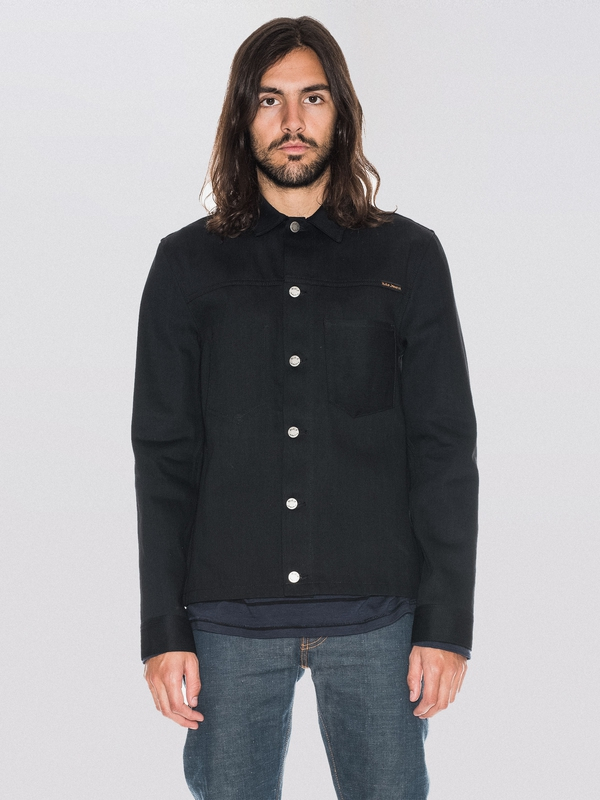 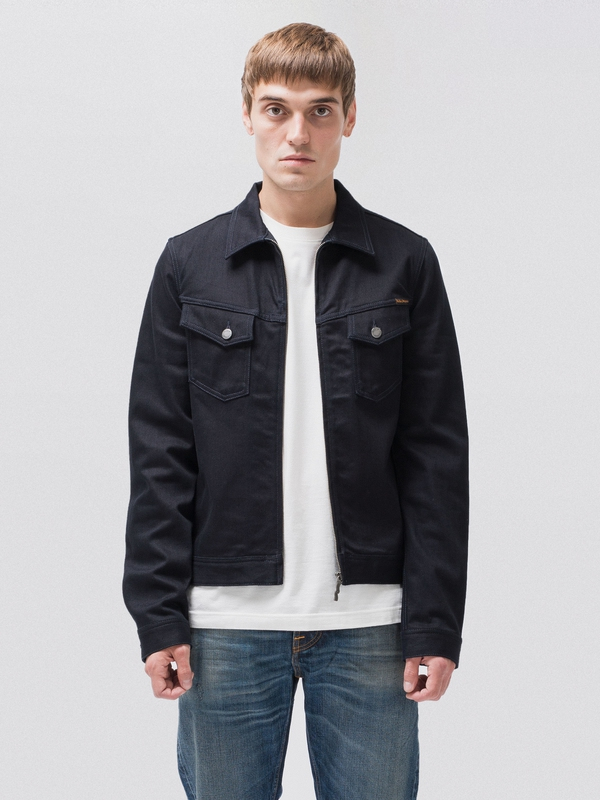 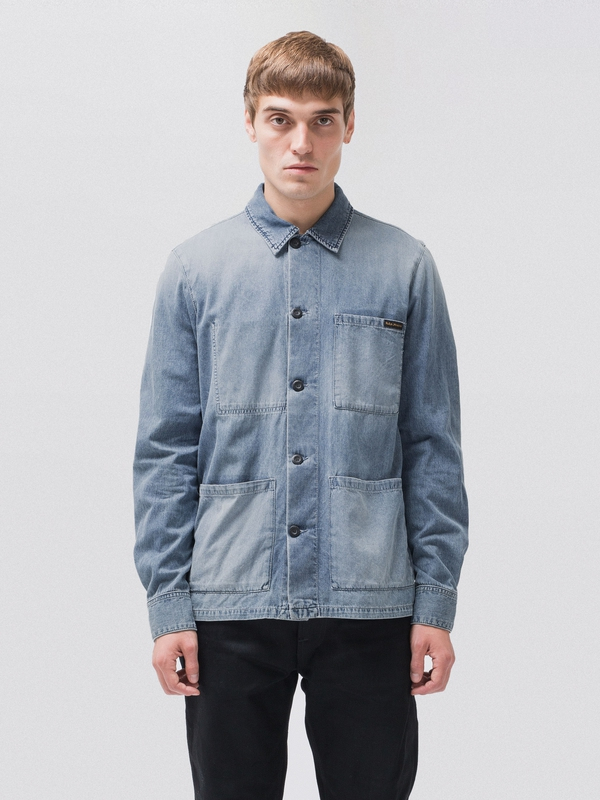 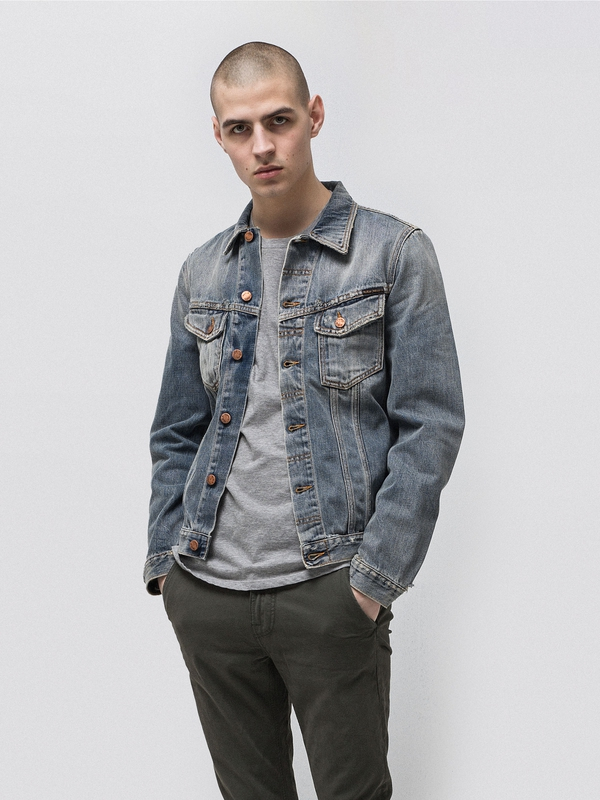 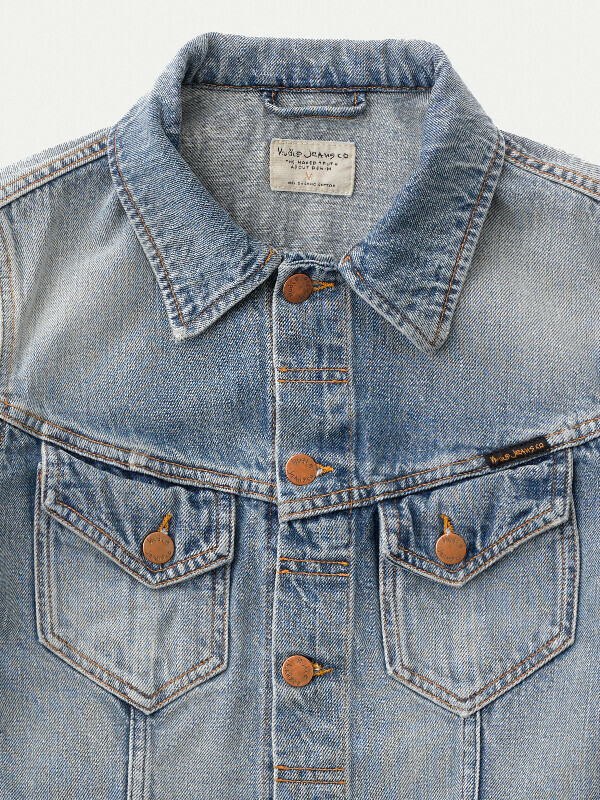 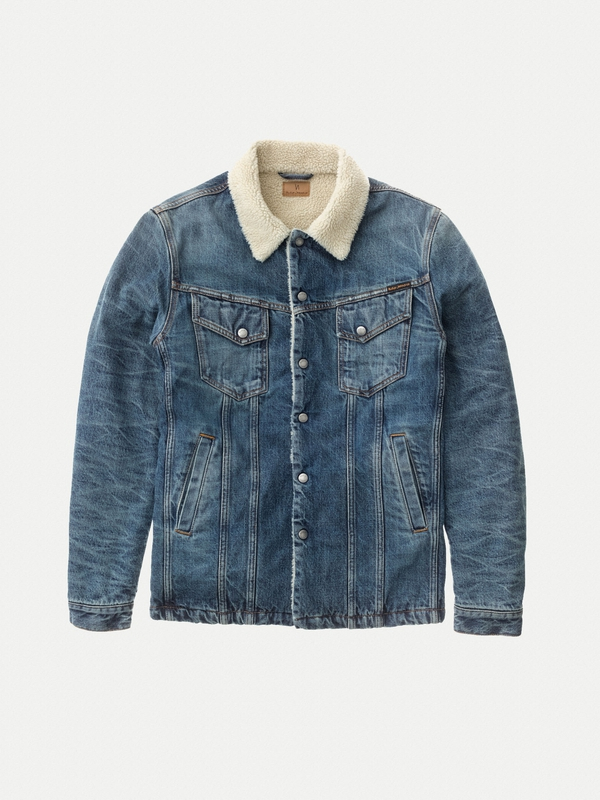 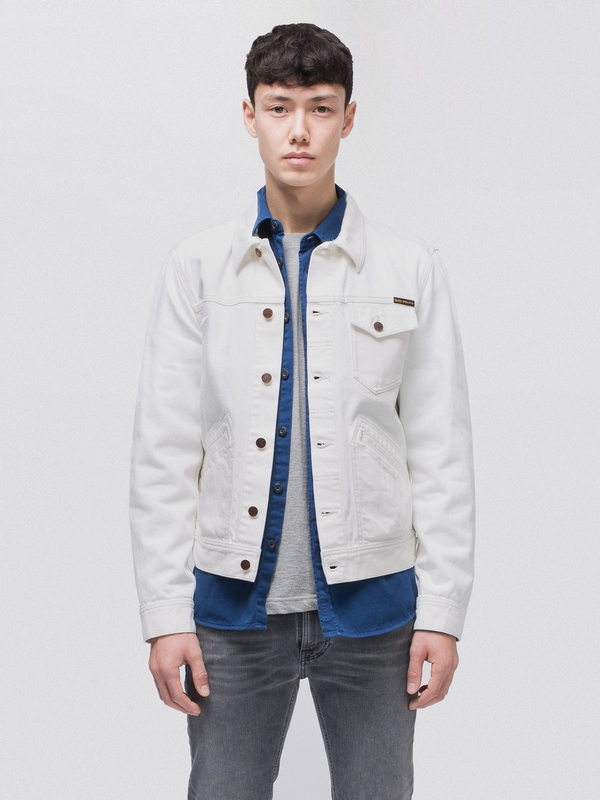 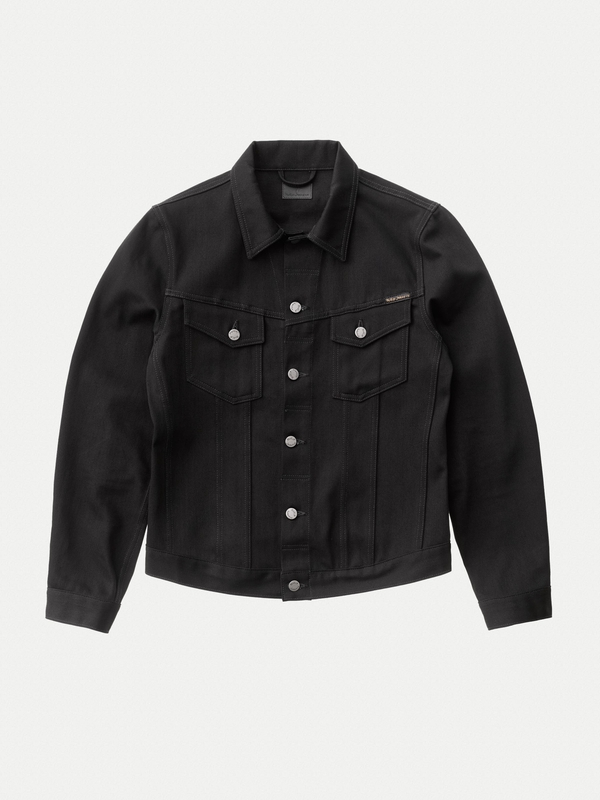 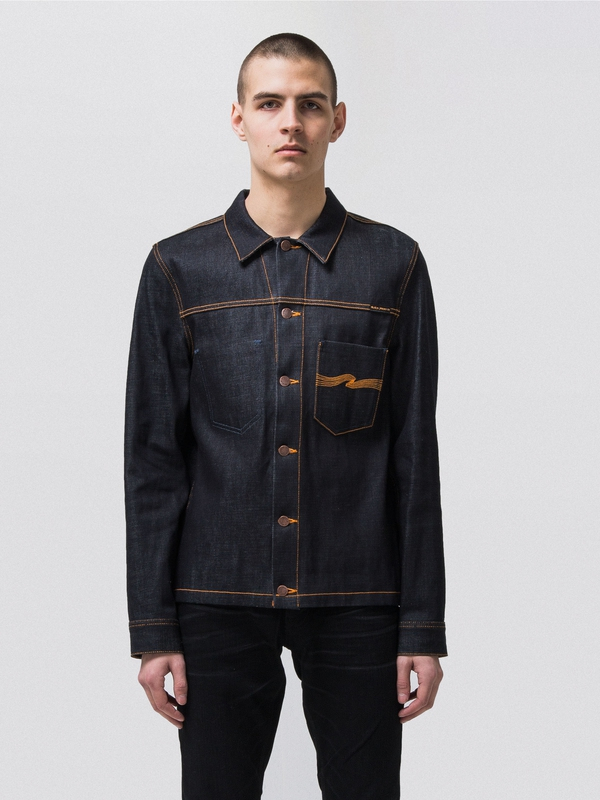 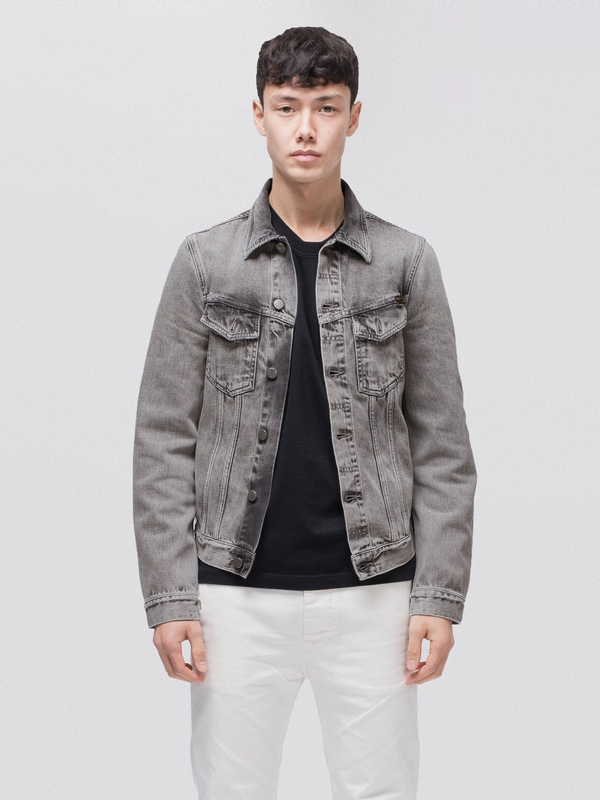 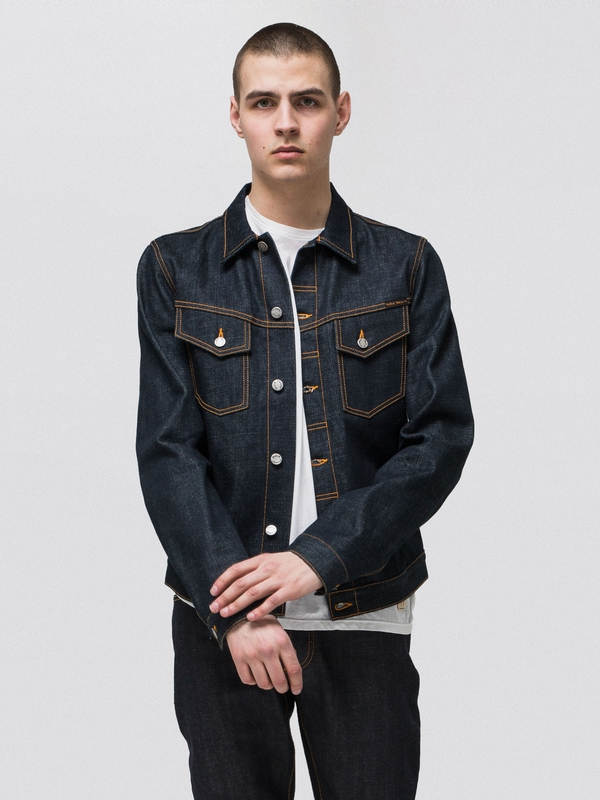 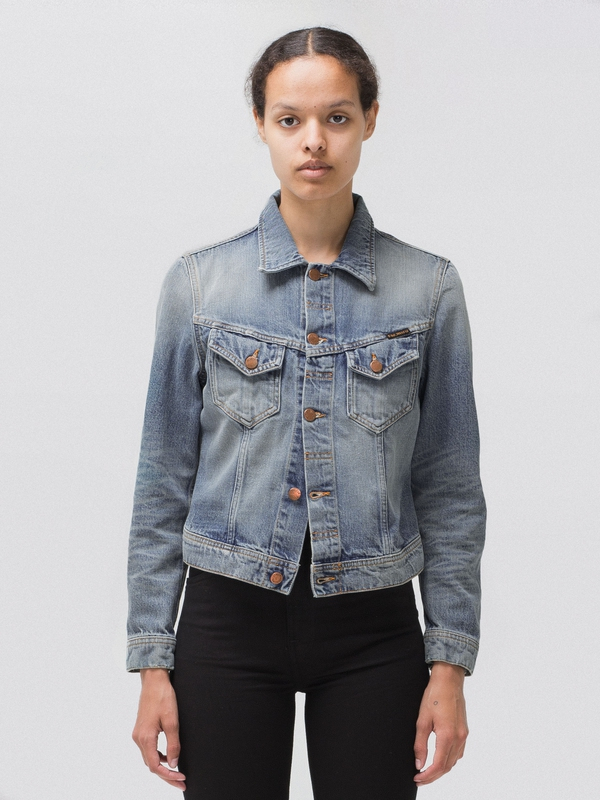 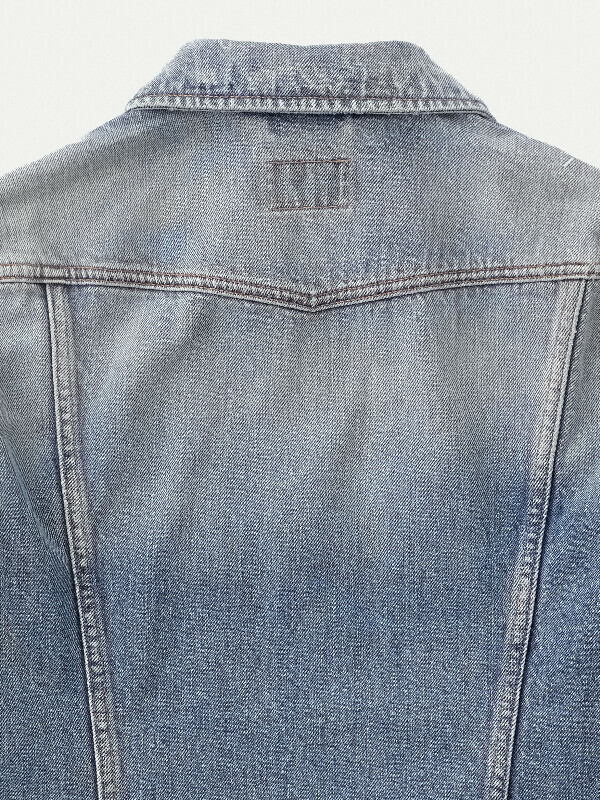 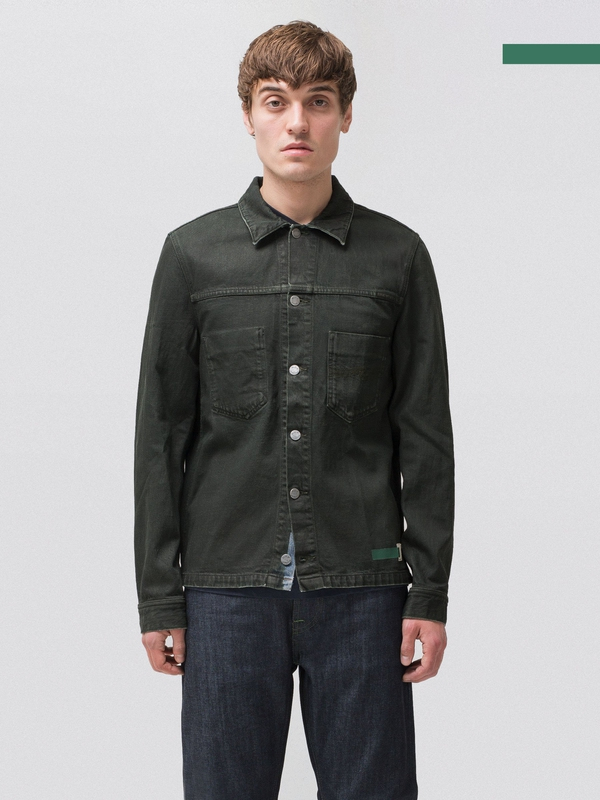 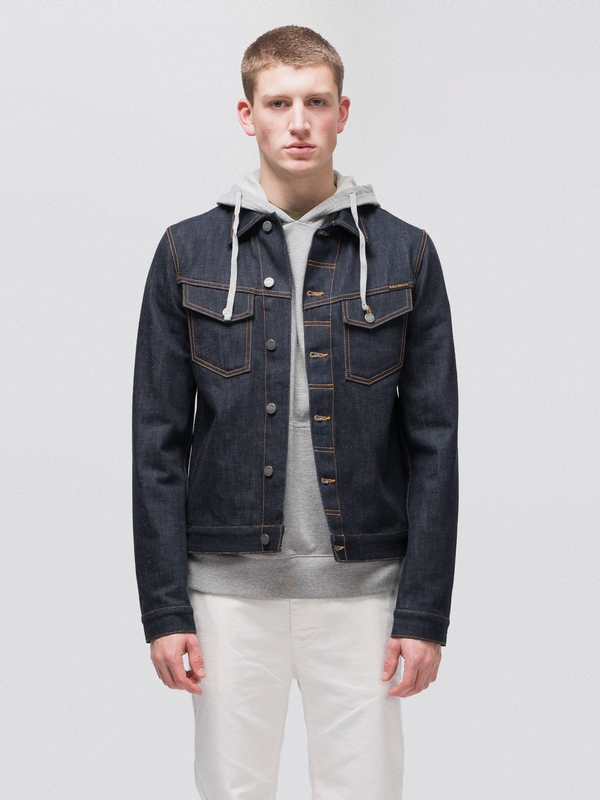 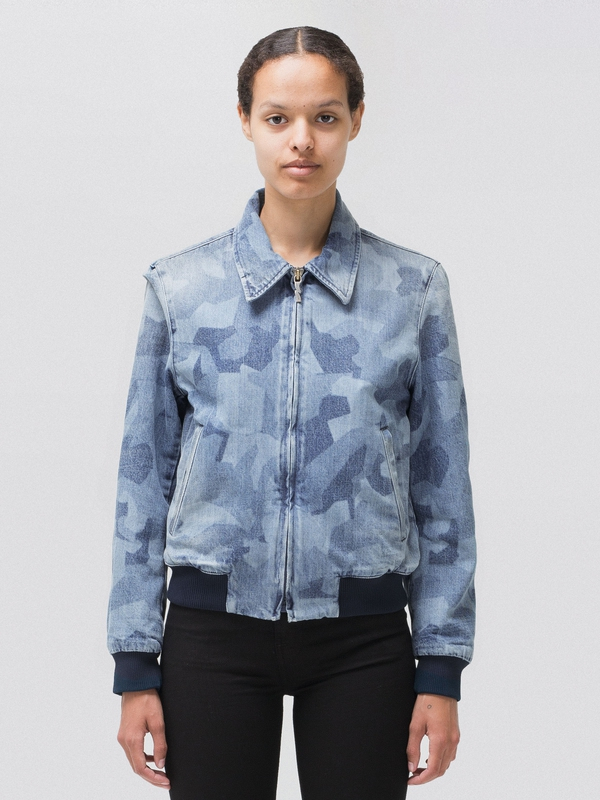 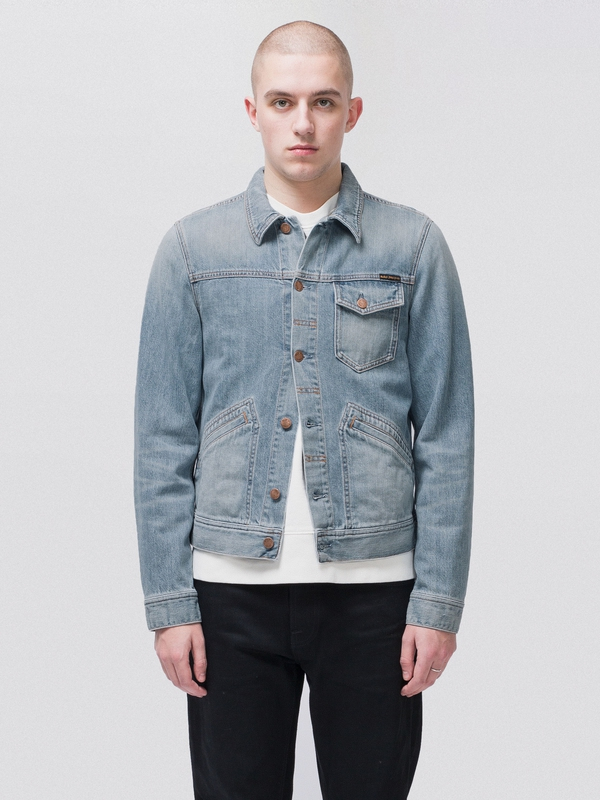 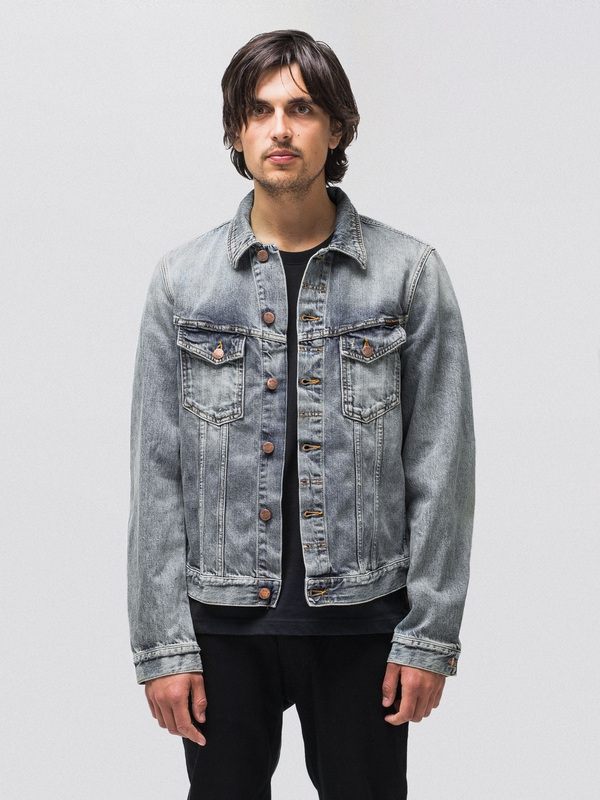 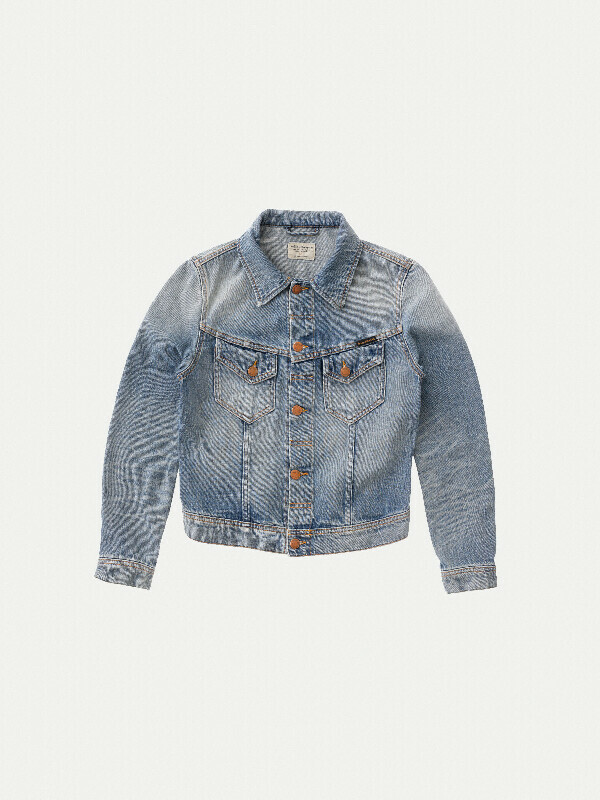 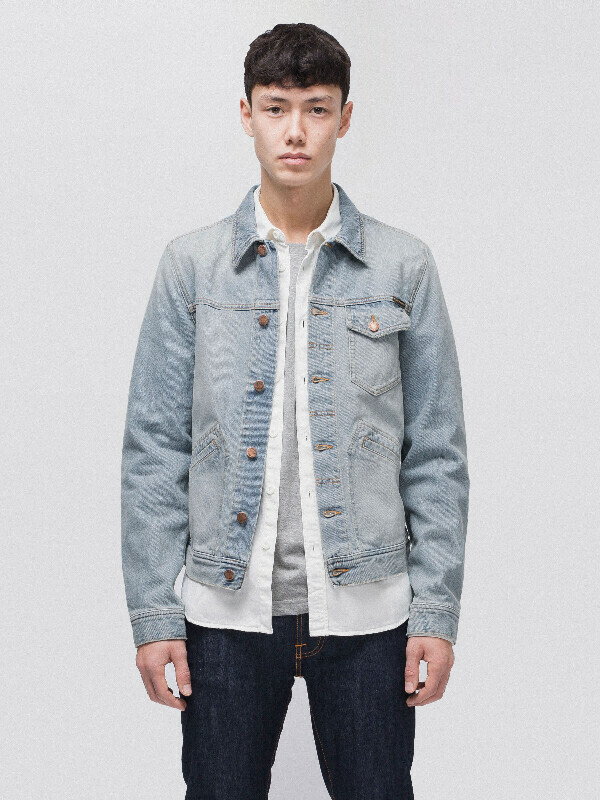 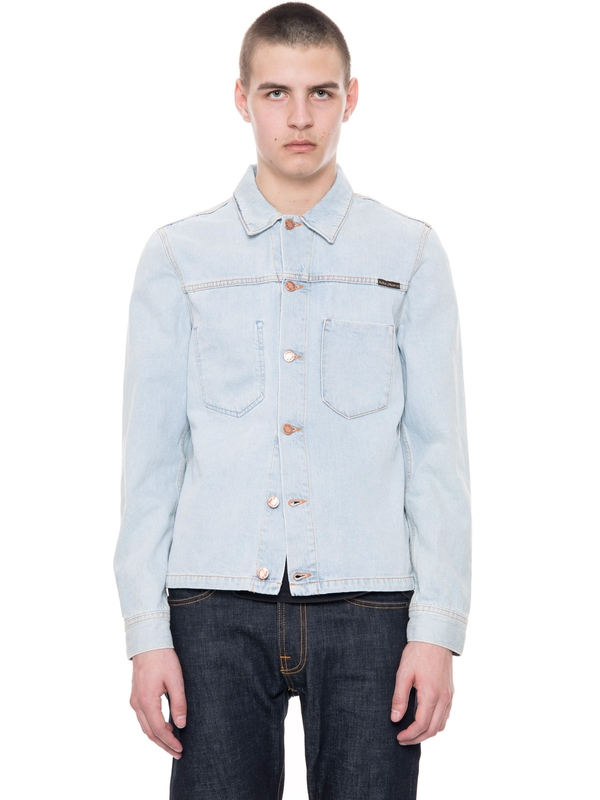 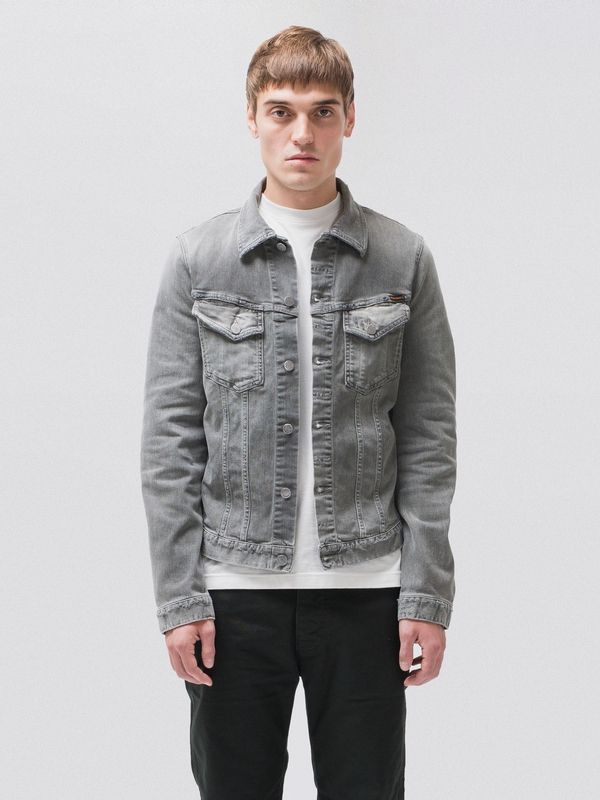 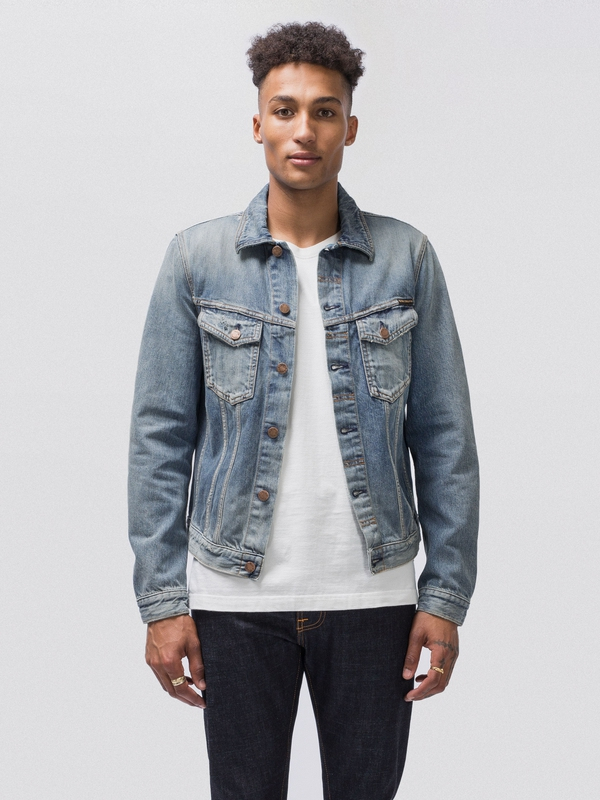 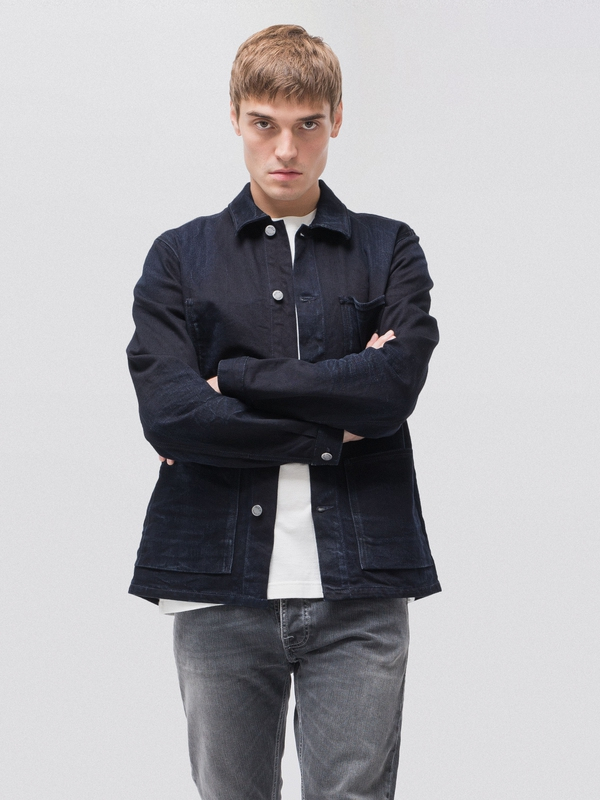 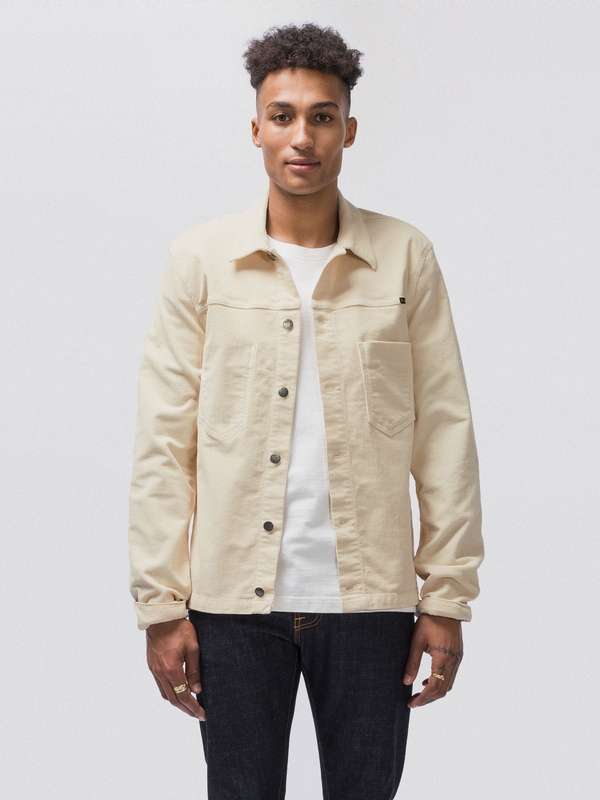 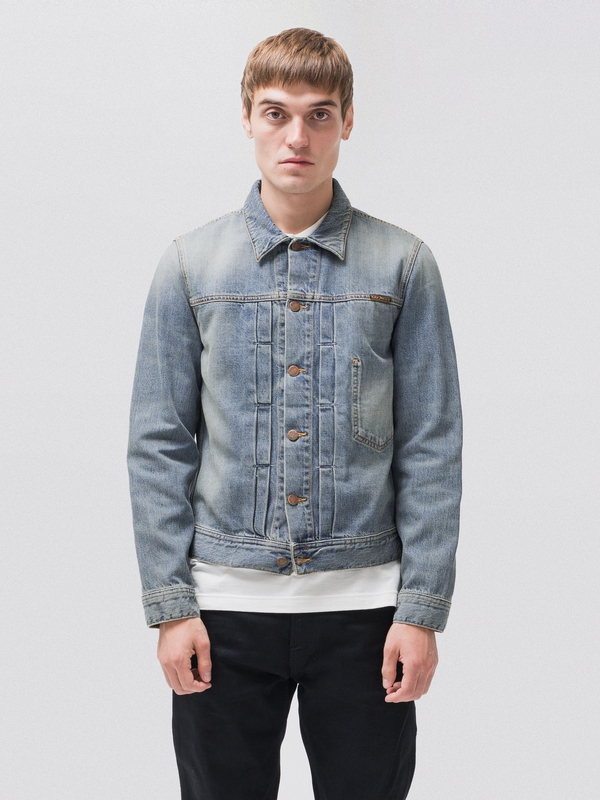 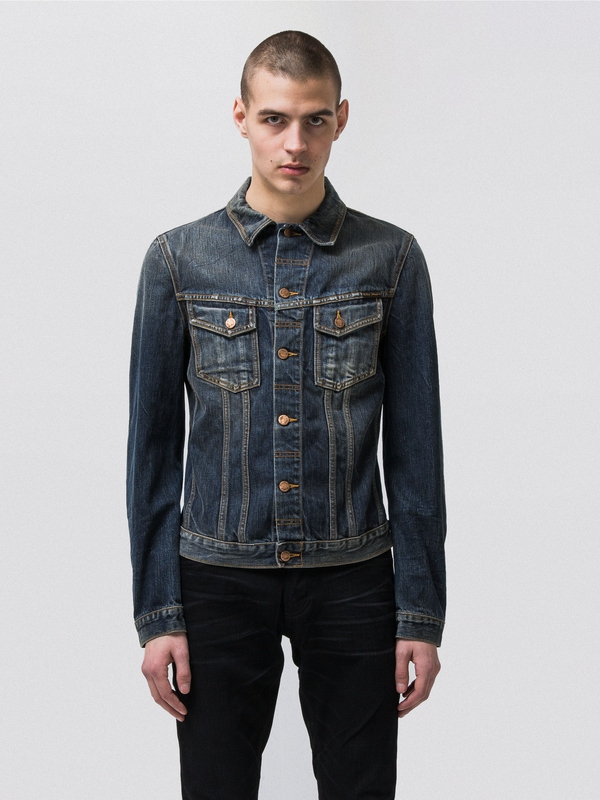 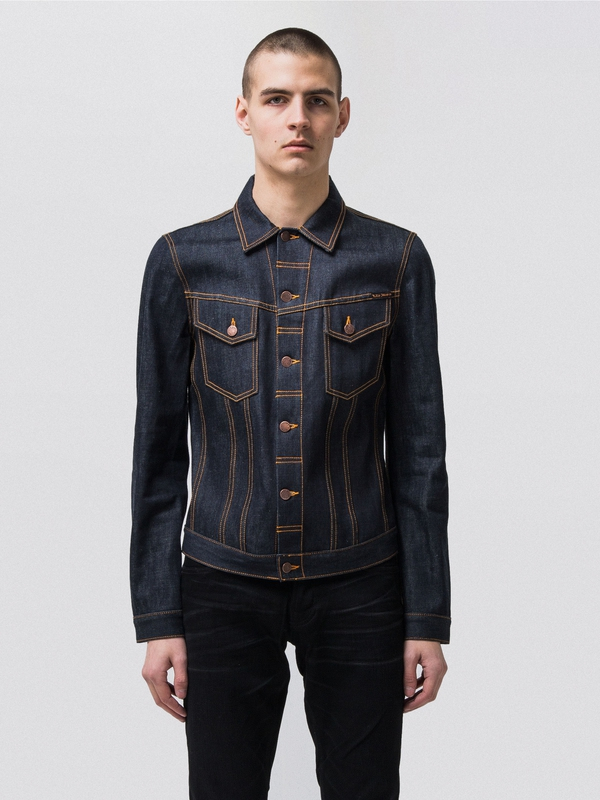 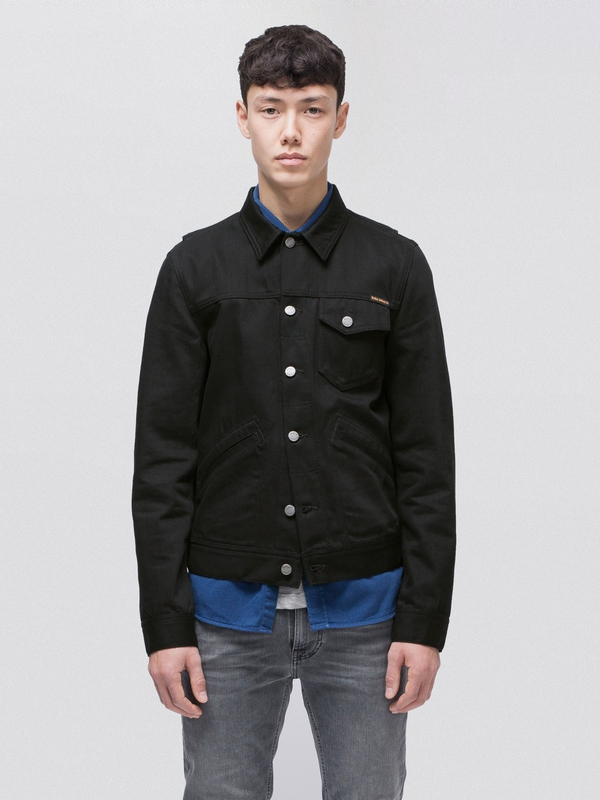 Denim jacket in rigid denim with evident twill lines and kind of grainy character. 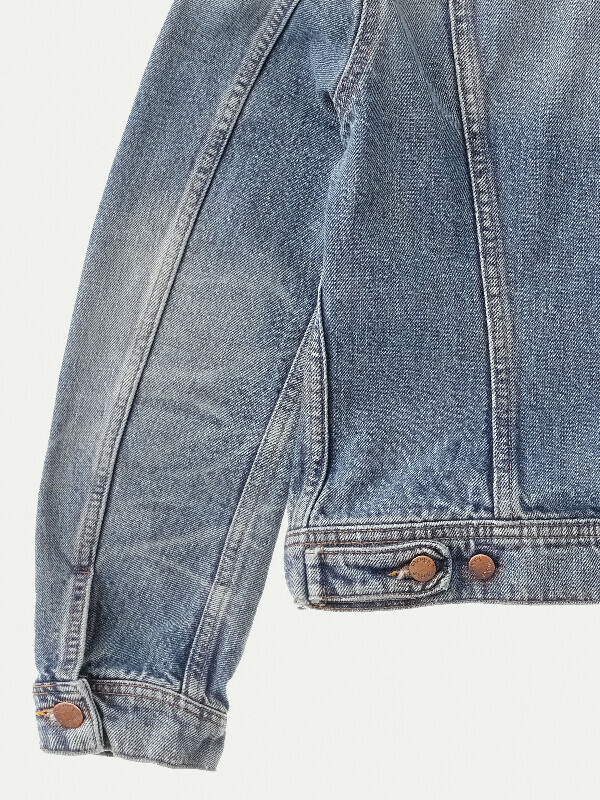 It's been washed down to a very authentic, worn in look. 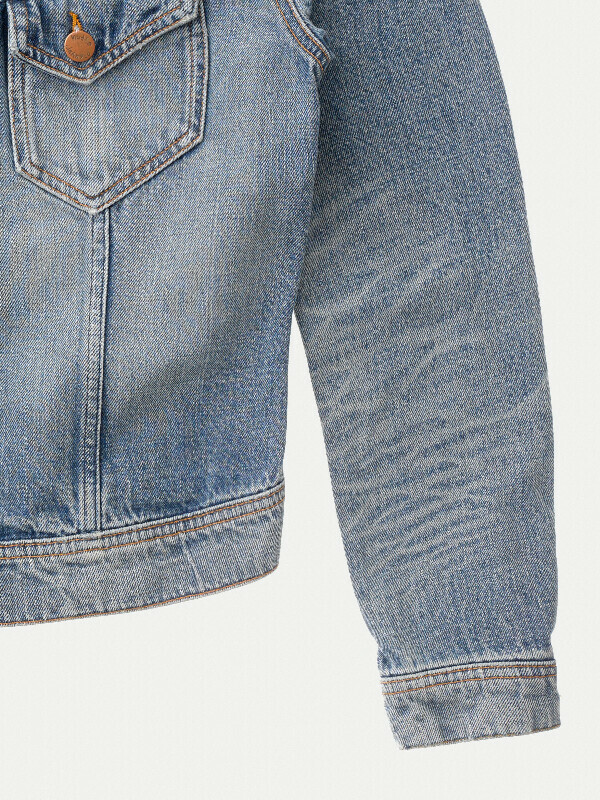 Rough abrasions with some small holes at cuffs, shoulders and collar.